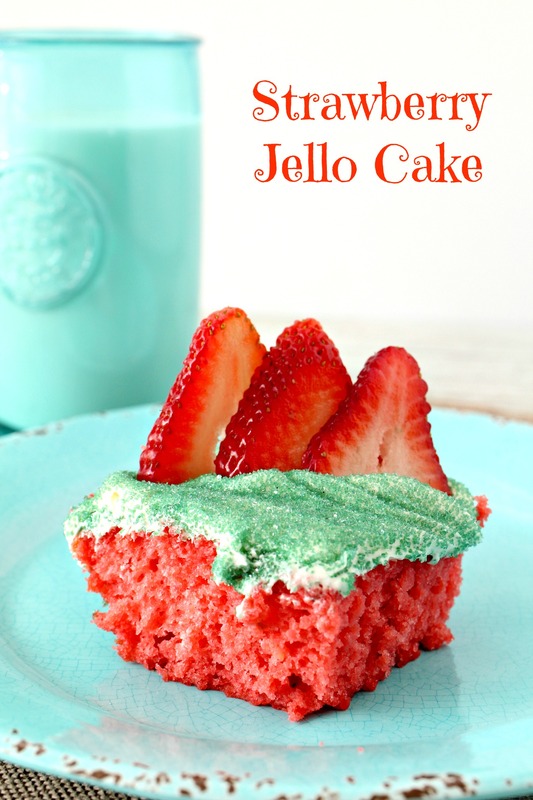 This Strawberry Jello Cake is so easy to make and is so delicious. It’s the perfect treat for a hot day!! In a large mixing bowl, mix together cake mix and jello mix. Add in eggs, oil, strawberry liquid, and water. Blend well with a hand mixer. This is a thick batter so you will need to bake on the bottom rack for 15 to 20 minutes. Reduce heat to 225 degrees and move to top rack and bake in 10 minute intervals until baked through. Put icing on cake and add green sprinkles. Place fresh strawberries on top if desired. Step 5: Top with Berries and Sprinkles. Enjoy!